Branding Your Travel Agency: Can You See Me Now? Every travel agency seeks visibility in its marketplace. Through advertising, niche marketing, and solid networking, agency owners work to raise the profile of their travel practice above the crowd, so the public immediately associates the agency’s brand with the word “travel”. Creating an association strong enough to be top of mind anytime someone thinks of “travel” is no small feat but, especially on a community level, it is achievable. No doubt in your own community, there is at least one travel agency with more than its proportionate percentage of “mindshare” – people immediately think of that agency when they think of their next cruise or vacation. Key to the effort of raising your company’s profile is the entire concept of “branding.” Think for a moment about the decision to buy a computer for your office. Most likely your mind first goes immediately to a brand – perhaps “Dell”, “HP”, or “Apple”. Each of these companies has managed to create in your mind an association between the word “computer” and their respective brands. Each has their own points of differentiation and has established their credentials. Your decision now rests with your evaluation of the merits of each machine, but the primary marketing hurdle has been achieved: when you thought of buying a computer, you thought of very specific brands. For most travel agencies, the task of creating a local visibility is one of public relations and advertising. The agency advertising must clearly spell out the company’s position in the market place and the credentials of the agency and its agents. Moreover, each of these features has to be clearly related to a benefit to the consumer. The consumer must, over a period of time, be exposed to the agency’s advertising and public relations with sufficient frequency to remember the agency brand. Social media also can play a very important role in building a local brand. When an agency has properly positioned itself in a marketplace, not only does it create its own identity, but it also clarifies the demographics of its client base. Knowing who your clients are assists in the identification of the appropriate venues for advertising and helps to focus the agency’s marketing efforts. Positioning a brand, then, takes place not in a vacuum but in relationship to the other elements of the market place: differentiation relative to competition, credentials relative to the industry as a whole, and advertising relative to the consumers of the agency’s services. 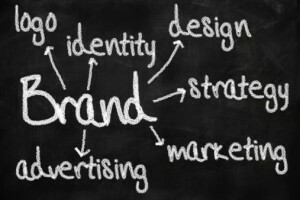 Branding is not merely a matter of advertising and networking, however. To be successful, branding must be an extension of an authentic company ethic – a mission statement that clearly states the travel agency’s “reason for being.” Without a mission statement, the travel agency’s marketing will lack consistency from month to month, from effort to effort. The agency and its ownership will be driven not by a core set of principles, but by the needs of the moment. Agencies without an ethic to guide their marketing continually pop up on the consumer’s radar screen and then fall off again as their marketing ebbs and flows with a disjointed series of efforts. To be effective, marketing must be consistent and intentional, it must be part of a plan. At the core of every business plan is the company’s mission. We ignore this simple truth at our peril, at the risk of becoming invisible to a public looking for travel counselors with whom they can enter into a relationship. As we enter into the last few months of 2015 and plan for 2016, commit to establishing a solid foundation for next year’s marketing by working to develop a mission statement that will make it crystal clear to clients the reason they should do business with you. Once you clearly articulate your mission statement, everything else in your business practice becomes a bit easier to see.